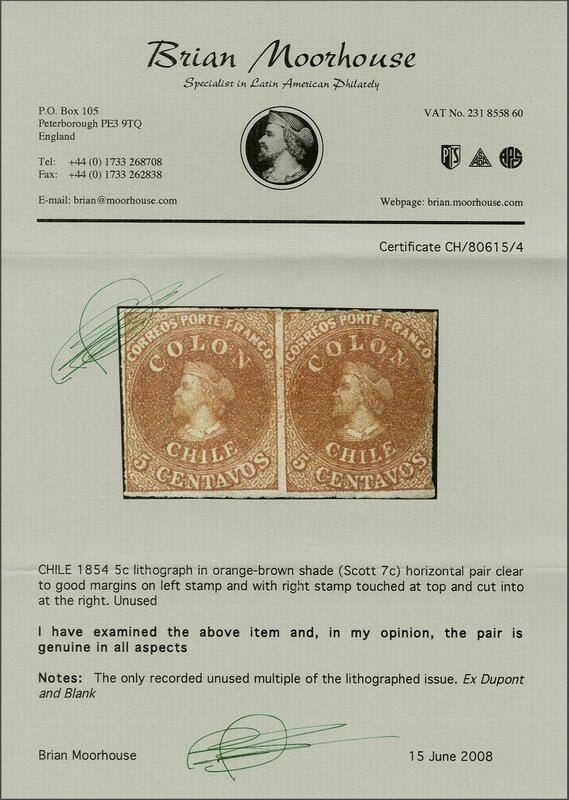 Lithographed by Henri Gillet 1854 (April-August): 5 c. orange-brown, wmk. pos. 4, the famous unused horizontal pair - the sole recorded unused multiple of this stamp - of fresh vibrant colour with large margin at base and touched to ample on the other sides, unused without gum. 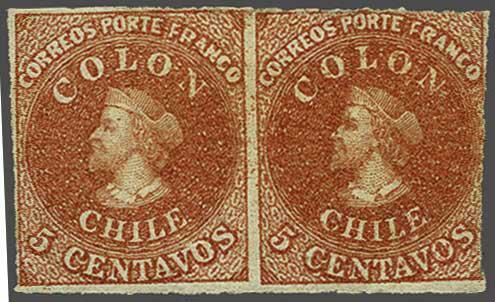 A major rarity of Chilean and, indeed, worldwide Classic Philately. Signed A. Diena. Cert. Moorhouse (2008).rnProvenance: Collection Welczeck; Collection Jean Dupont, Balasse, May 1981, lot 130; Collection Gerhard Blank, RL, Dec 1991, lot 1023; Collection 'Islander', Siegel, June 2008, lot 110.